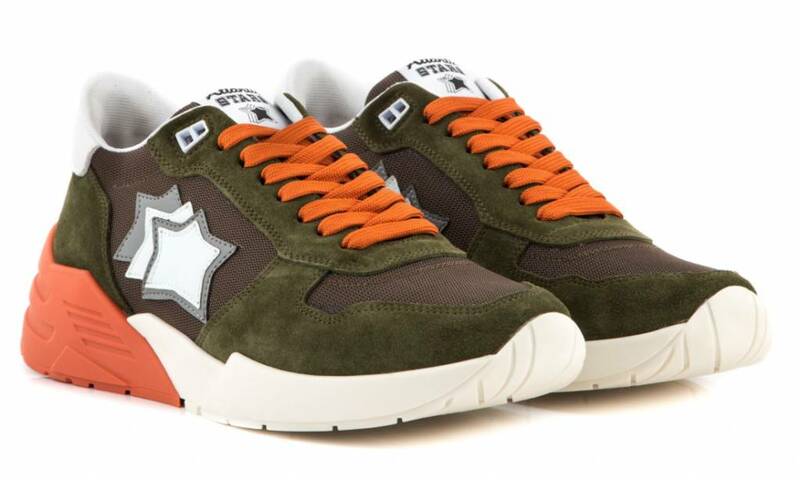 New in our collection: the Atlantic Stars Mars sneakers in army/orange. This new model has a bigger and more striking outer sole than the Antares, which we already had in our collection. 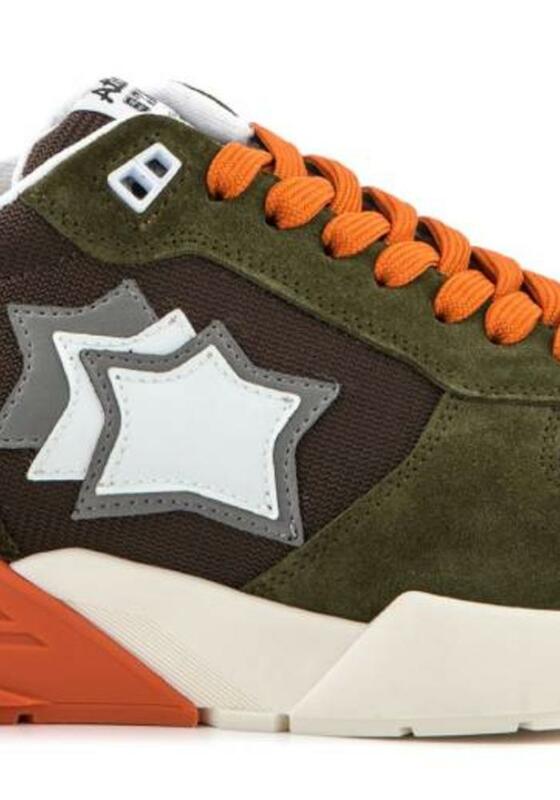 The exterior is made of a combination of mesh and suede. 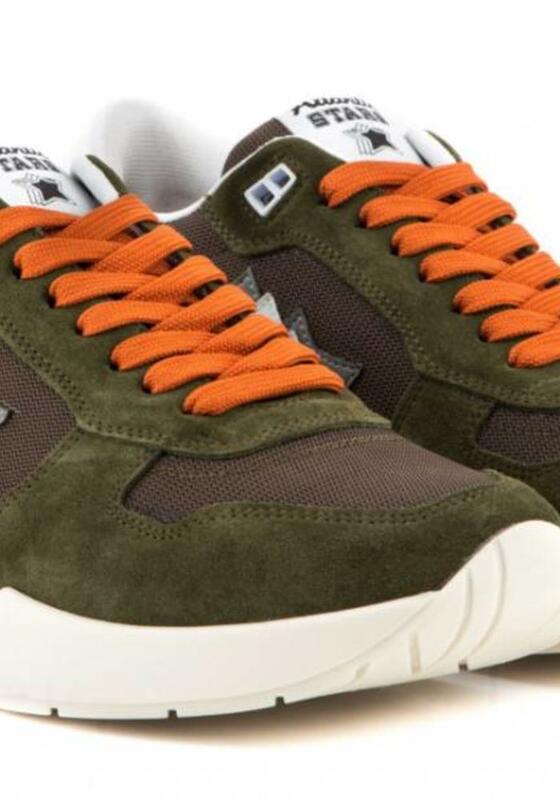 The inside is made of fabric, the inner sole of leather. 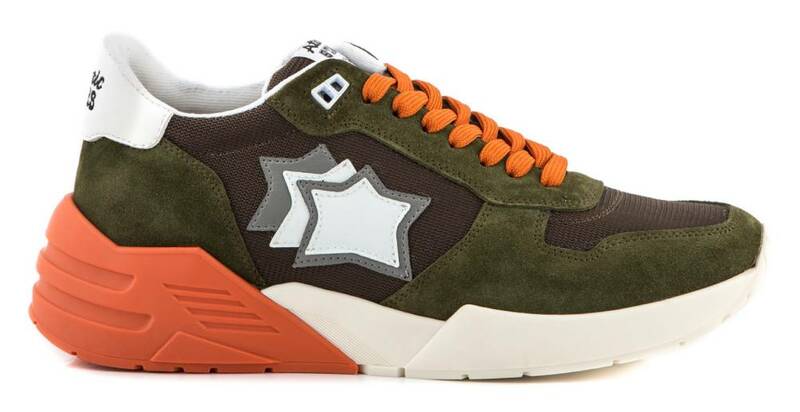 For those who are not yet familiar with this Italian brand; the stars on the sides are glow-in-the-dark and are a nod to the 80s, which makes Atlantic Stars feel inspired!